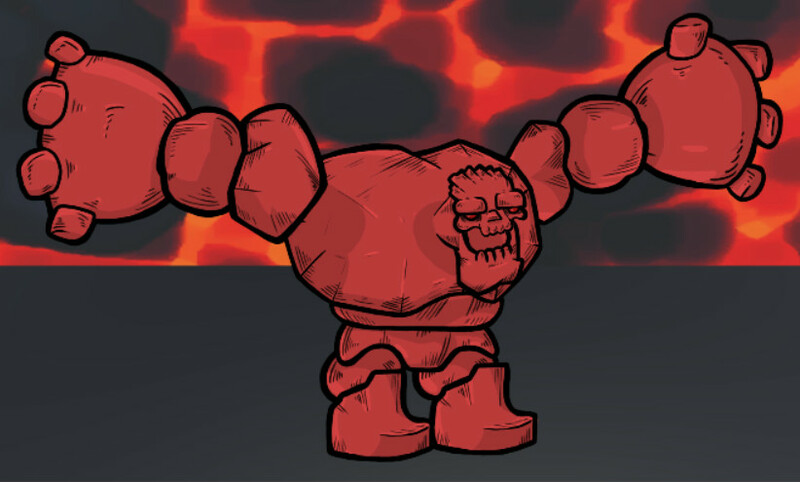 I rigged and animated this rock monster character using Anima2D bones and IK in Unity. A simple UV scrolling shader is used for the background, and a simple color changing script to show he’s mad. See it in action here. Sprite from Unity3d.com. Free lava texture from http://www.outworldz.com.